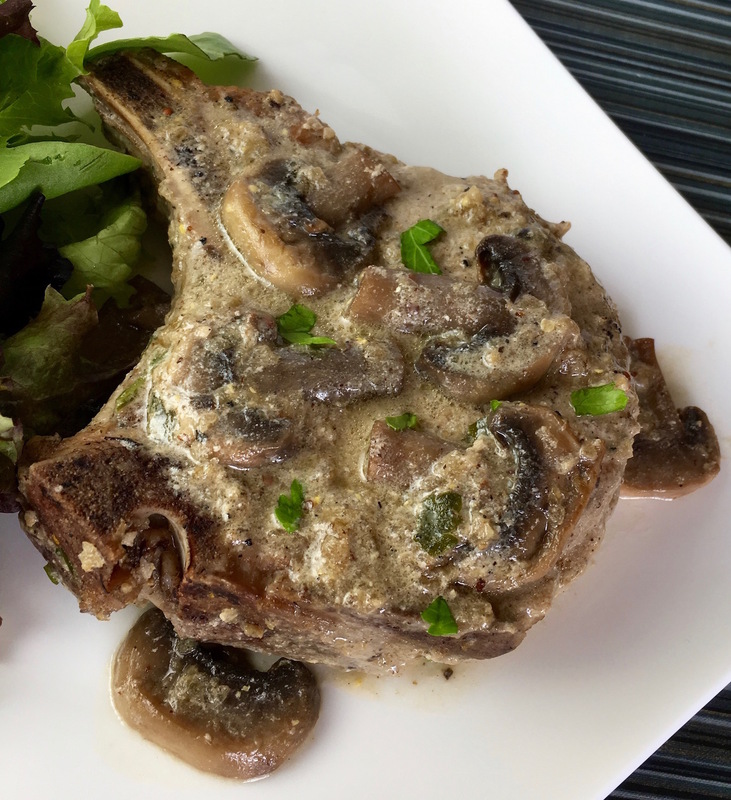 These rustic pork chops are packed with tons of flavor, and they are so quick and easy to prepare. 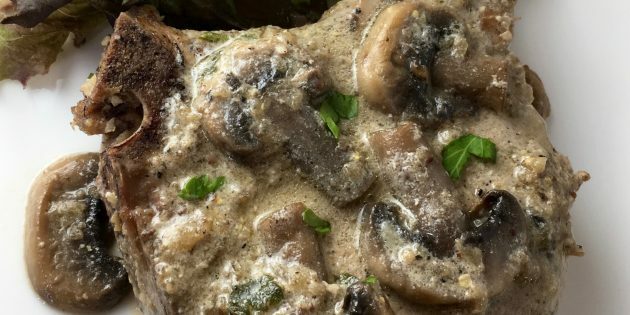 This recipe is sure to become a new go-to family favorite! If you click on any of the links associated with this post we will receive a small commission!! Thank you for supporting my recipe addiction!! When it come to serving platters generally I go for something that will go with lots of color schemes like white. It photographs really nice and when paired with a linen that has color you cant go wrong. Sometimes though I want a serving platter that has color. 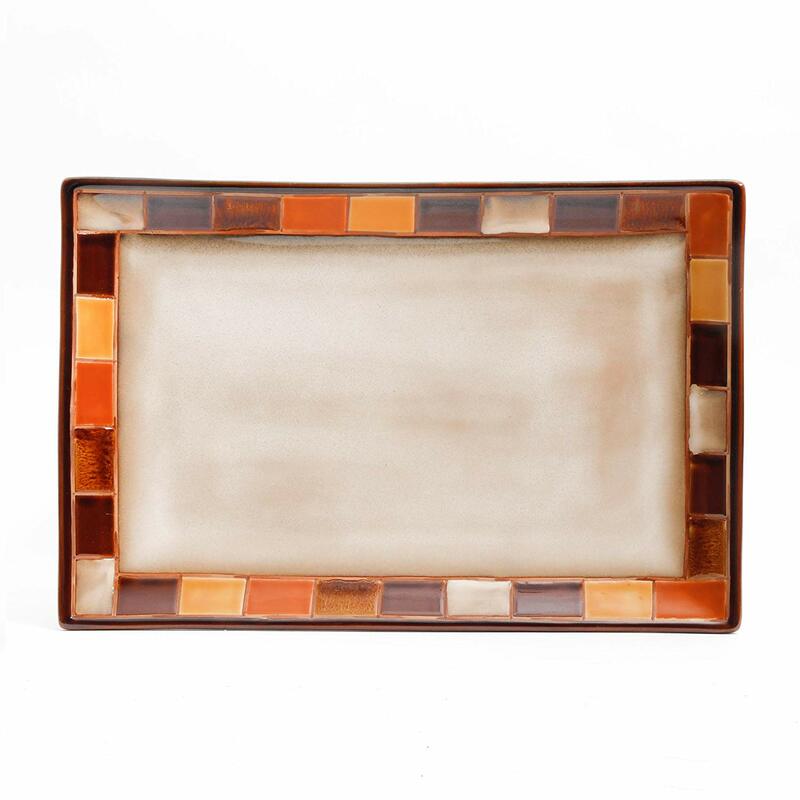 I really love this Gibson Elite serving platter! It has kinda of a rustic feel to it which I like. Who doesn’t love a quick and easy dish on a crazy weeknight. I made these last week and it was a huge hit for my family!! For this recipe I used my Le Creuset Cast Iron Skillet. When it comes to skillets you can’t go wrong with Le Creuset. I have had this skillet for a number of years now and I love it!! This skillet has an enamel interior to prevent sticking and make clean up a cinch. As we all know cast iron skillets can be a little on the heavy side of life but this one has a large looped handle that helps moving it a lot easier. There are so many things I love about this skillet so you have to check it out. Click on the picture or link and check it out for yourself! !